Blogger blogspot have come a long way in recent years, improvements are being made on it everyday, when Blogger was newly introduced for free blogging, only a couple of templates where made available but now there are lots of free templates and other features you can get absolutely for free on Blogger. Then with Wordpress becoming more popular than Blogger, many new bloggers want their blogspot blog to look just like Wordpress blog but the only problem becomes having "Powered By Blogger" attribution on their blog, which by default you are not allowed to delete it or remove it. This tutorial below will teach you how to customize your blogger so that "Powered By Blogger" attribution will not show in your blog whether you are on website version of your blog or on the mobile version, by just adding a little code to your blog, you can now boost of having a Wordpress blog or a Blogger that looks exactly like Wordpress blog. If you are not logged in, login to your Blogger Dashboard, Click on "Templates" > "Edit HTML"
Click anywhere inside your code area and press "CNTRL F" in your computer. 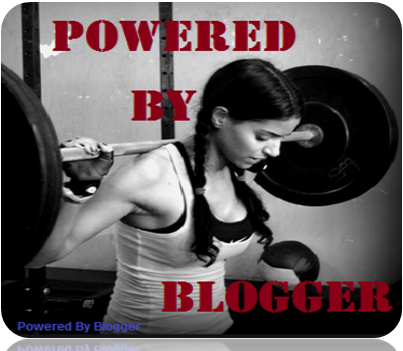 Then click "Save" and view your blog, the "Powered By Blogger" attribution will not appear again. Note: If you have already added sitemap .xml file above the </head> section, paste this code above the sitemap. Thanks for this simple article.. We had already learned the trick for disable or hide the Blogger "Powered By Blogger" attribution widget From. Now in this tutorial I learned with the simple technique to remove "Powered By Blogger" attribution. This can actually help that blogger and programmers as well who are new into this kind of feature especially if that attribute seems to bother them on the exact form of project that they wanted to achieve. Absolutely useful! Thanks for sharing! You actually make it seem so easy with your presentation but I find this topic to be really something which I think I would never understand. It seems too complicated and very broad for me. new balance 574 hombre I'm looking forward for your next post, I'll try to get the hang of it! 26 September 2016 at 10:07 delete This comment has been removed by the author. Hey guys, if you are ever experiencing troubles with, click here for some good tips and tricks on the subject. These are simple rules you got to follow in order to get your writing better. The scholarship essay writing service is helps for the students can making their documents at right way. The process of writing is possible to get fresh types of writing papers and documents. Our writing company is depending on the challenges for making projects with more important information also. The college studies are having more troubles for making various types of projects. The high range of information and data can be collect from online. great article . its could help a lot. The beginning of each new part in an essay must be connected with the last sentence of the previous. Putting all thoughts in a logical order can be a challenge. Click narrative essay structure to find useful information. The programming myths are too many misconceptions and myths about programming lying in wait out there to trip you up and send you off on the wrong path towards getting to grips with computer science. Shweta Mahajan lives in Delhi. She is very sizzling and gorgeous , when you connect about sensual Delhi Escorts then men have their particular favorite. So to whole the call for of each man is dissimilar. Former his request now not finishes in their actual life Indepentdent Delhi escortsand female friend in this condition they pursue different female to surface their want. tattoo supply Actress Halle Berry has a tattoo of a sunflower on her rear end covering up the name of her ex, baseball player David Justice. Thanks for sharing the instructions on how to remove it!! 29 June 2018 at 05:49 delete This comment has been removed by the author. Thanks for sharing such a useful info. It has been quite difficult for me to do that. After removing the footer credit you should use your own footer like a link to home page or your main site check these medical websiteshttps://optimized360.com/medical-website-design/ for example. All blogger sites have a footer with the credits (a line of text at the bottom of the page) that links to blogger home page and the theme you use. These links allow your visitors to set up their own site and highlight the reach and variety of our community. It is a way to show the world the pride with which we created blogger, the Internet home of many users like you. Over the years, I have read comments on the credits at the bottom of the page, whose content did not always correspond to the objectives of the website or blog on which they were shown. That's why I suggest to use option to customize these credits. You should have more control over the appearance of your website.